HOUSTON, March 13, 2018 — Astronauts who spend time aboard the International Space Station return to Earth with changes to the structure of their eyes which could impact their vision. NASA has studied the phenomenon, known as space flight-associated neuro-ocular syndrome (SANS), for several years, and now a University of Houston optometrist has quantified some of the changes using optical coherence tomography imaging, reporting his findings in JAMA Ophthalmology. "We studied pre-flight and post-flight data from 15 astronauts who had spent time aboard the space station and detected changes in morphology of the eyes," said Nimesh Patel, assistant professor. All of them had good vision before and after the flight, but many of them had a change in structures of their eyes. 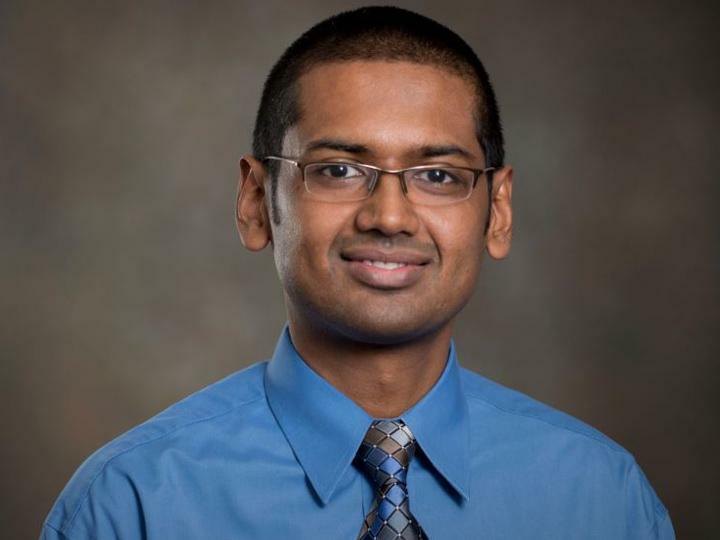 Patel created customized programs to study data from optical coherence tomography, a noninvasive clinical test that offers cross-section pictures of the retina. His algorithms showed that following prolonged space flight, three major changes occur. "The findings of this study show that in individuals exposed to long-duration microgravity, there is a change in the position of the Bruch membrane opening, an increase in retinal thickness closer to the optic nerve head rim margin, and an increase in the proportion of eyes with choroidal folds," said Patel. While some of these changes would be expected in patients with elevated intracranial pressure, there are also significant differences. For example, choroidal folds are not as prevalent in individuals with intracranial hypertension. Although the exact cause remains unknown, it is hypothesized that the changes seen in astronauts are a result of microgravity-associated orbital and cranial fluid shifts. Because some astronauts included in the study had previous spaceflight experience, the preflight data was first compared with healthy control subjects before comparisons with postflight scans. "The results of these investigations suggest that, although there may be resolution of structural changes, there could be long-term ocular anatomical changes after extended-duration spaceflight," said Patel. He hopes his findings will one day have applications for patient care. "My hope is one day we can use some of these algorithms we've built on patient care," noting how important NASA astronauts are in helping understand physiological changes. "They provide us a novel and interesting set of data that helps us build algorithms sensitive enough to detect small changes." Patel is also co-investigator with Brandon Macias, senior scientist at KBR Wyle, on the Ocular Health ISS Study involving one-year mission crew members, to determine how fast these ocular changes develop during spaceflight and how long it takes for patients to recover.